As always, WOW Gospel provides one of the best video playlists of the year! This year we feature some of Gospel music's hottest videos from Jessica Reedy, Pastor Charles Jenkins, VaShawn Mitchell, Marvin Sapp, and James Fortune & FIYA featuring vocal powerhouse Monica plus Fred Hammond! You'll find both live performances and concept videos from the best and brightest names in Gospel music all in one place. 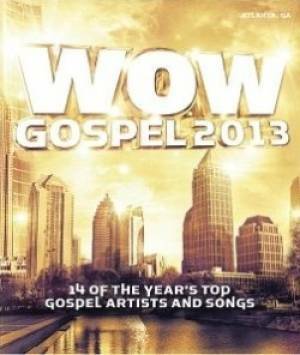 WOW Gospel 2013 DVD by Various Artists was published by RCA INSPIRATION in January 2013 and is our 10026th best seller. The ISBN for WOW Gospel 2013 DVD is 887654079190. Be the first to review WOW Gospel 2013 DVD! Got a question? No problem! Just click here to ask us about WOW Gospel 2013 DVD.